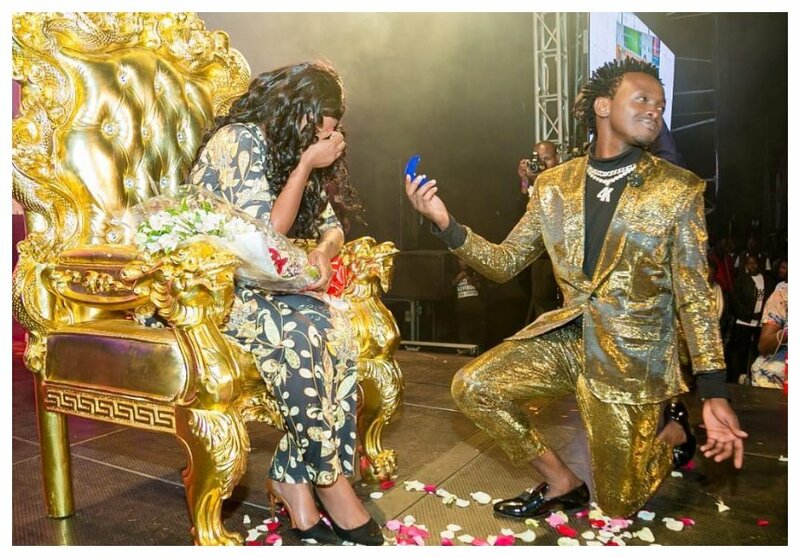 Gospel singer Bahati proposed to his beautiful wife again, he surprised Diana Marua with a new engagement ring during a jump off concert at Thika stadium. Bahati’s proposal raised eyebrows because he is already a married man, he married his wife Diana Marua in a low key traditional wedding that was held in Nairobi on 20th October 2017. 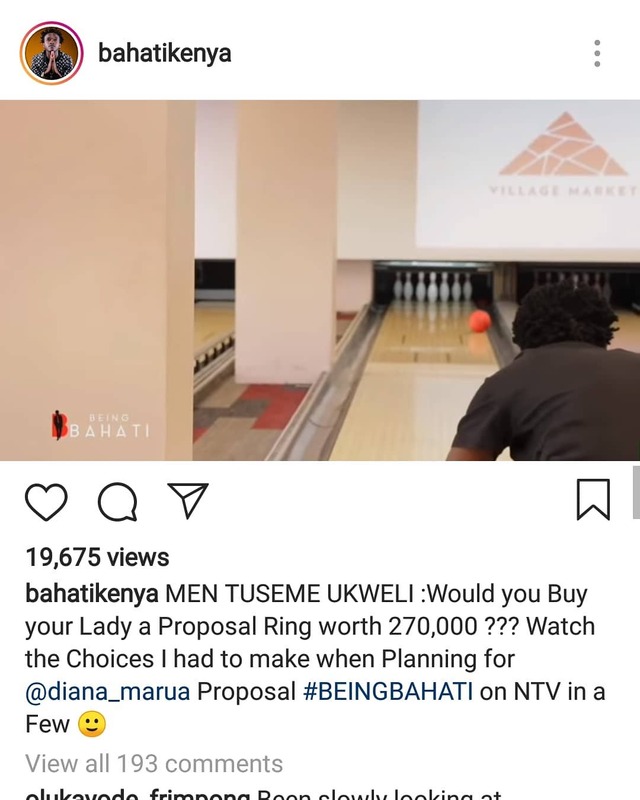 Bahati however explains that he decided to propose to his wife again since nobody saw or heard about his first marriage proposal. “Everyone knows that Diana and I are an item. Everyone knows that she is my one and only but never has anyone heard or seen me propose to her, something I consider a very important process. A man can do a traditional wedding but one needs to put a ring on it. We are taking a step at a time,” said Bahati during an interview with Pulse. Apparently Bahati forked out a whopping Kes 270,000 to buy the engagement ring that is on the second finger on Diana Marua’s left hand. he gospel singer confirmed spending the amount on the ring in a post on social media. He however pulled down the post after netizens criticized him for spending so much on a ring.